Winter in Southern California is orange season, and the smell of citrus is just wonderful. 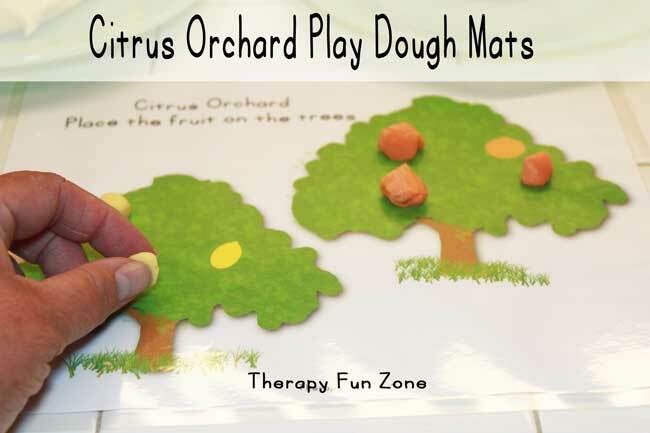 I made an orchard play dough mat and made some orange and lemon play dough to go along with it. 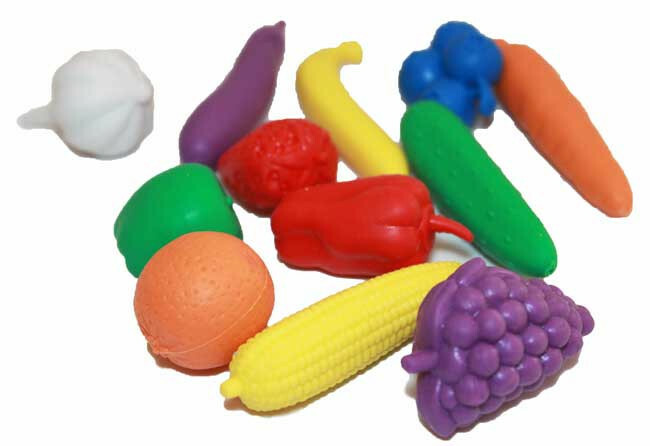 To make the experience even better, I added lemon essential oil to the yellow play dough and citrus/orange essential oil to the orange play dough. 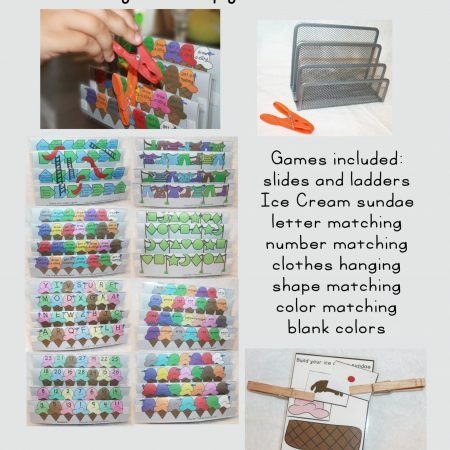 Print out and laminate the play dough mats and then you can make little oranges and lemons out of the play dough and place them in the trees. 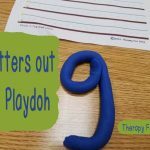 I used a play dough recipe that I got at Make and Takes, but you could use the same recipe that I have used here before. Start off before you heat the sauce pan, and mix the baking soda, corn starch and water. 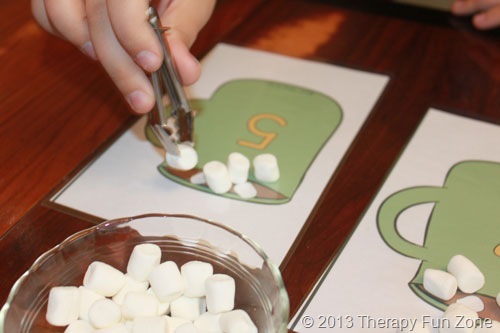 Then add your food coloring (yellow for yellow, and yellow and red for orange). Next put the pan on a medium heat and stir constantly. 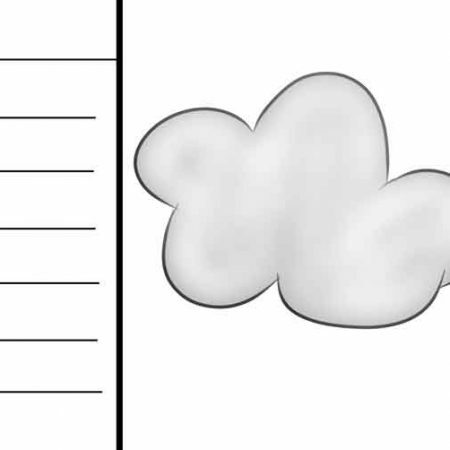 It will start to bubble and then it will start to clump up. 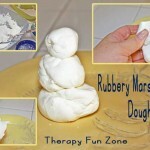 Once it is in a solid mass, you can take it off of the heat and turn out the dough onto a plate to cool. After it is cool enough to knead, you can add 2-3 drops of essential oil. 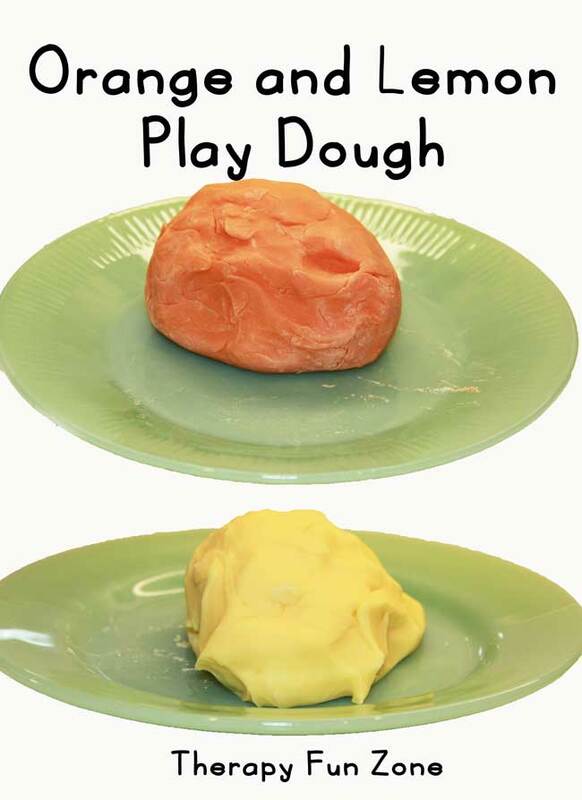 Add lemon oil to the yellow play dough and citrus oil to the orange colored play dough. 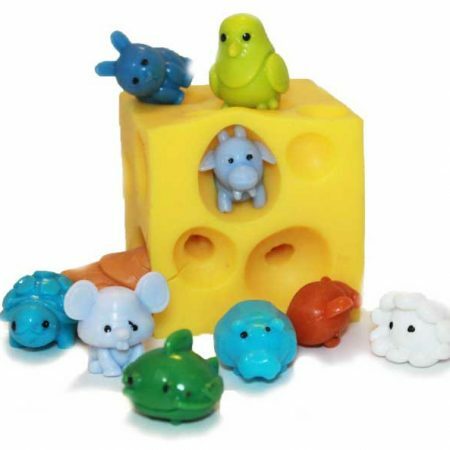 Now you can have fun playing in your orchard. You can place the oranges in the trees and then harvest them into a container. Try using chopsticks or clothespins to harvest your oranges and lemons. 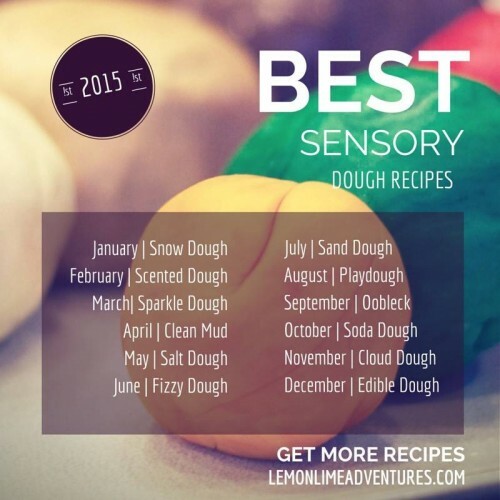 This post is part of a series of 12 months of sensory dough. 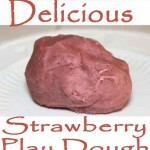 Check out all of the other doughs that have been made this month at the other blogs.